No. 23, Across the Sayed shohada hospital, Farshadi stream alley 23, Khayam Street, Isfahan, Iran. 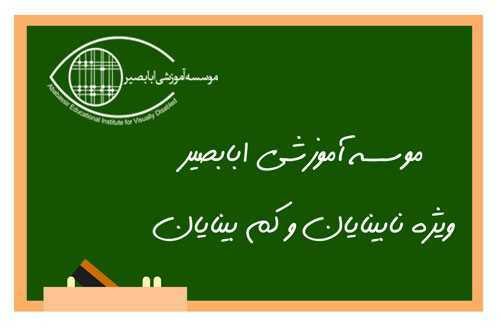 Ababassir educational institution had been established by some charity givers of Isfahan city with the aim of educational and other services to the blind and semi- blind people on 1969. Ababassir educational institute since its foundation tries to be activate in following fields and prepare an appropriate position for promoting and flourishing the blind client’s talent in different fields like scientific, religious, cultural, and sport. No. 23, Across the Sayed shohada hospital (Omid), Farshadi stream alley 23, Khayam Street, Isfahan, Iran.